6510 ft (1984 m) . 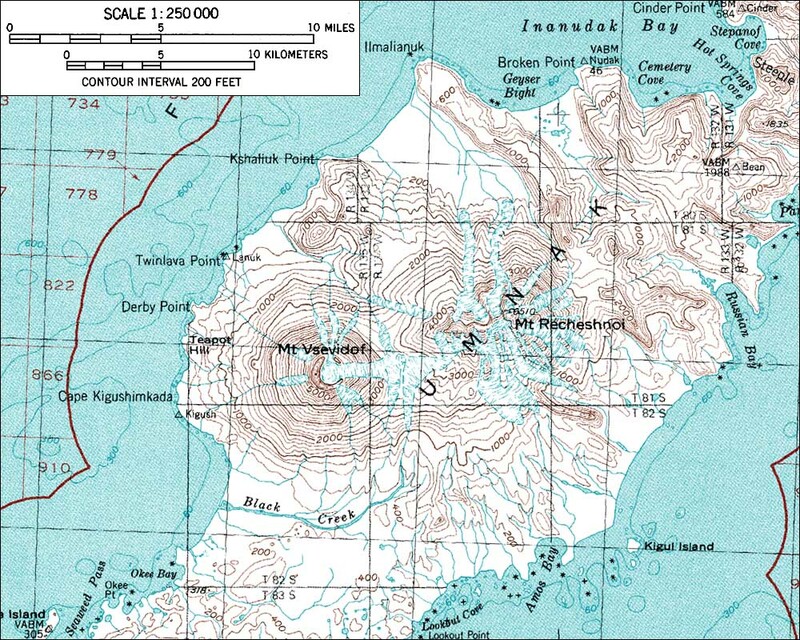 Recheshnoi is an older, eroded, and heavily glaciated volcano located about 6 miles (10 km) east of Vsevidof on Umnak Island in the eastern Aleutians. 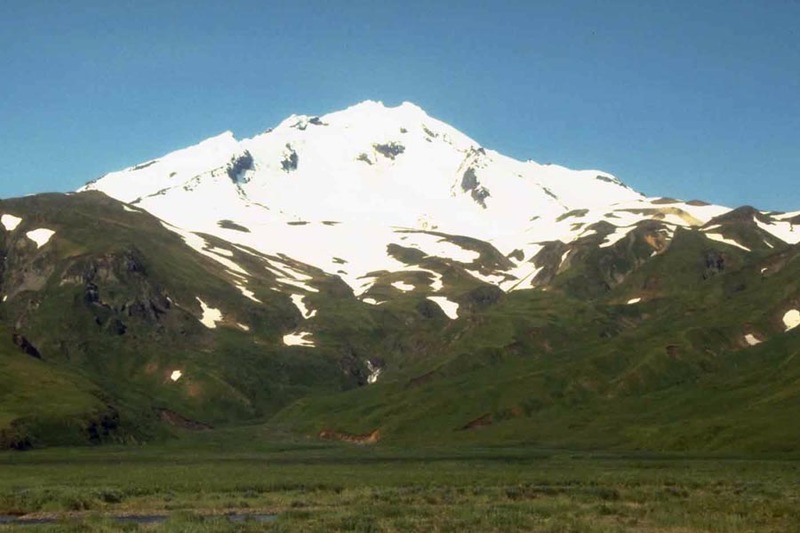 Although considerably larger than its neighbor and almost certainly loftier when in its prime, the upper portions of Recheshnoi's cone have now been removed by glacial erosion over the past several thousand years since eruptive activity ceased, and nine active valley glaciers continue to grind away at its remains. A large zone of hot springs and geysers can be found in the valley near Geyser Bight, about 5 miles (8 km) northeast of the summit. Umnak is a large island, over 70 miles (100 km) in length, with a native village at Nikolski near the southwest end about 20 miles (30 km) from Recheshnoi. 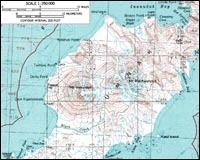 The landing strip here provides the best access to the island and its volcanoes, and floatplane or boat landings could also be attempted in the bays closer to the volcanoes in fair weather. All transportation options start from the nearest city which is Dutch Harbor on Unalaska Island, about 100 miles (160 km) to the northeast.